Customer service and the finished product are fantastic. I will be recommending this company to friends. Customer service and the finished product are fantastic. I will be recommending this company to friends. I want to thank Jamie, Matthew, Tim, & Anthony for doing a great job on our patio. They all came together to make it a success for my parents 50th Anniversary party. It turned out beautiful, and so thankful for there speedy completion. Thanks for making your customer very happy! Hey Paulette, we are so happy to hear that we were able to make your parents 50th anniversary successful!! Congratulations to the both of them!! Thanks again for letting us be part of the success on their special day! I truly can't recommend this company enough!!! Jamie, Matthew, Anthony,... we're all fantastic. Their thoughtful attention to detail, and pride in the work that they do, provided me with a quality patio cover that I am so thrilled with. If you're thinking about using this company don't hesitate! Great company to deal with. Cesar Paez helped us through the process and the result was exactly what we expected. Would recommend to anyone looking for a new patio! Everyone I dealt with was very professional and courteous! The crew worked very hard and made sure we were happy with the process and progress at all times!! The patio turned out better then imagined!! They even came back to install my ceiling fans after they had completed the job! 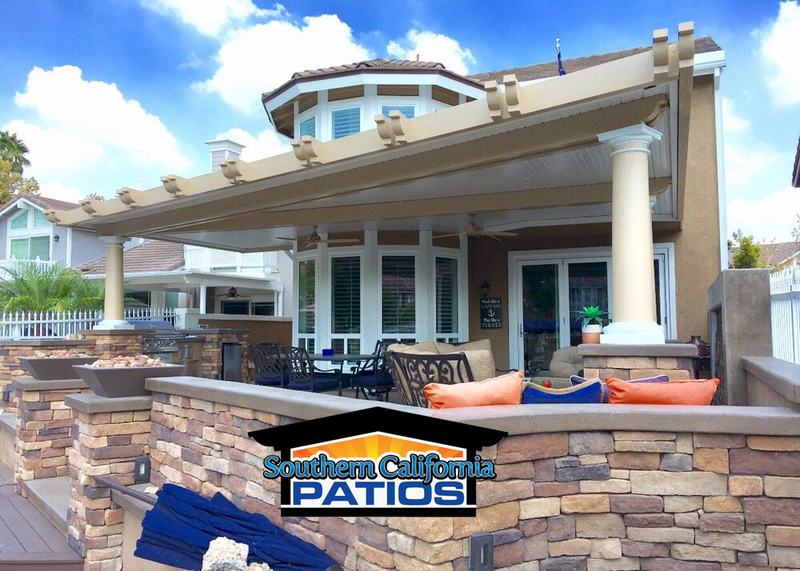 Loved doing business with Southern California Patios!! !